Climate change believers in the church are seeking earthly salvation, writes Ben Cubby. 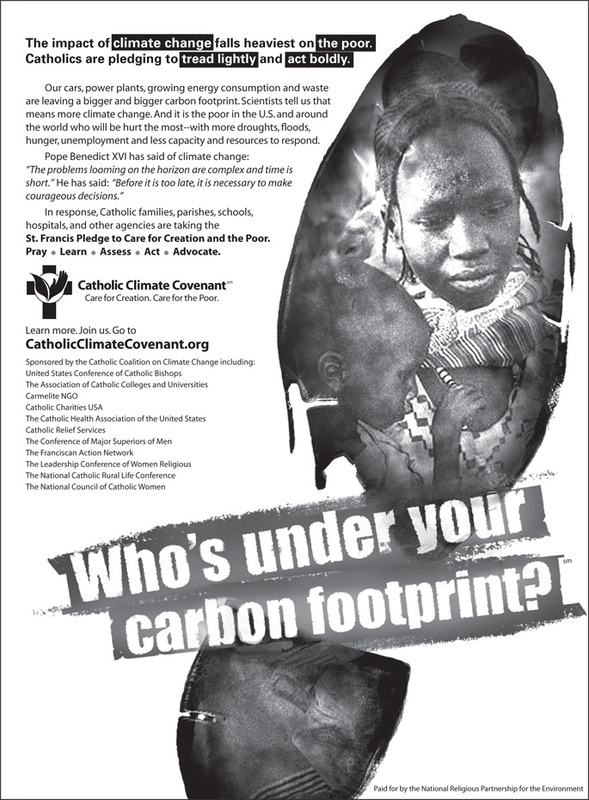 GOD puts down a mighty carbon footprint in Australia, but the Catholic Church is doing its best to lighten His tread. With the support of the former US vice-president Al Gore, the church is starting a carbon audit of thousands of churches and parish buildings, about 1500 schools and more than 300 hospitals and aged-care facilities. It estimates its many activities release up to 1.5 million tonnes of heat-trapping greenhouse gases a year, about the same as all Federal Government agencies put together, excluding the Defence Forces. "We think it's a great opportunity to bring the ecological world and the Catholic world together," said Jacqui Remond, director of Catholic Earthcare, the national sustainability division of the church. After a successful pilot in Sydney, the church will use an internet reporting and monitoring system to measure the energy and water use and carbon emissions of its buildings. The Archbishop of Sydney, Cardinal George Pell, is known as a climate sceptic, having already compared attempts to cut carbon emissions with "pagan" human sacrifice. But Catholicism was a broad church, said Ms Remond, and the national carbon plan had been endorsed by the relevant bishops. She met Mr Gore in Sydney this week and gained his backing for the project. "In the business world there's an old saying, 'You manage what you measure'," Mr Gore, a Protestant, said in a statement. "The availability of this new tool for measuring our impact on the environment will allow us to measure and manage, to help us to be good stewards in caring for God's creation." Providentially, perhaps, the church plan was called a "strategic, systems-based integrated initiative", which soon became ASSISI - coinciding with the home of St Francis, patron saint of the environment. "I was looking at the letters and I realised we could just add an 'A' on the front - it was one of those real 'God' moments," Ms Remond said. "The Franciscans were very happy about it." The Sydney company doing the audit, CarbonSystems Australia, said the project was enormously complex. "This is probably the biggest voluntary environmental program going on in Australia," its managing director, David Solsky, said. "We have found that compared to a lot of businesses that are just doing this for compliance reasons, the Catholics really have the desire to live in a more sustainable way." The plan calls for each school, hospital and parish to compile data based on energy and water bills, which can be cross-referenced with information from "smart meters", which can give energy consumption updates every 15 minutes. Individual parishioners will be able to access an online calculator that will help them measure their carbon footprint. Father John Pearce, parish priest at St Brigid's, Marrickville, said the audit would cover his church, an attached monastery, a neighbouring school and several other houses. "I think the climate is changing and it's a big challenge for the whole nation," he said.